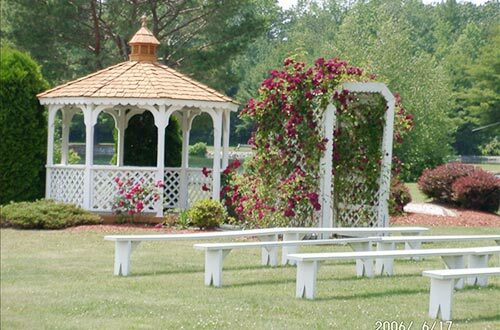 Our wedding gazebo, complete with rose covered trellis, is perfectly positioned on our island, surrounded by our 25 acre man-made lake providing a truly unique outdoor wedding experience. Our spacious outdoor pavilion, surrounded by perfectly manicured lawns and scenic views, is the ideal location for your unique outdoor event. With a backdrop of the breathtaking Blue Mountain, our conveniently located private setting can be the foundation for your memorable outdoor wedding, corporate party, reunion, social or any other event during the Spring, Summer or Fall. We can accommodate up to 1,000 people and you are only limited by your own imagination. 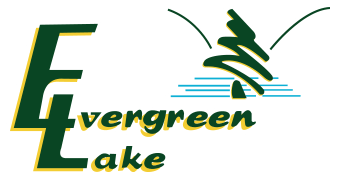 Contact us today to inquire about availability or to discuss your ideas!